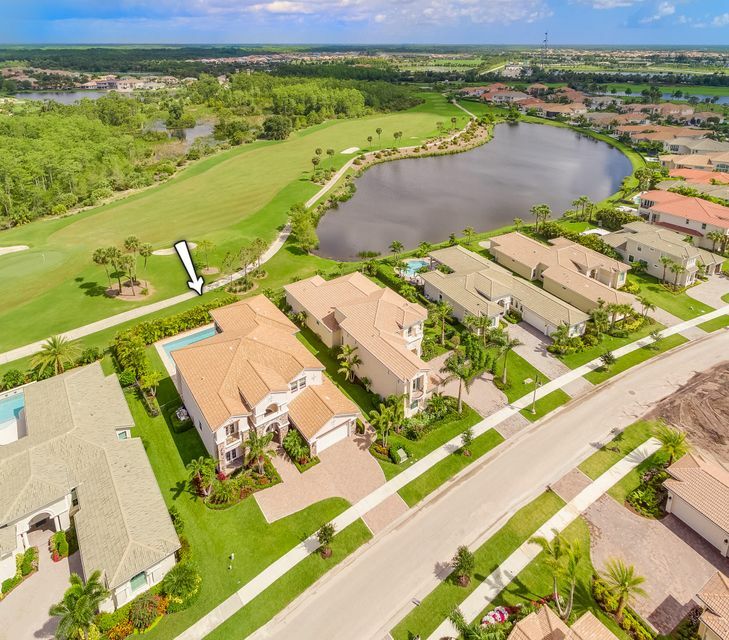 Each home in Jupiter Country Club, built 2007-2010, on 483 lush acres in upscale Palm Beach County, features innovative designs and thoughtful attention to detail, with picturesque golf course and/or lake views. This is an active adult community for over agd 55. There are luxury single family Mediterranean style homes and 166 townhomes/condos. Two-story homes feature grand staircases. Most homes have free-form or abstract shaped beautiful pools. Rooms are very spacious. Schools are A-rated. World-class amenities include two spectacular Mediterranean-inspired clubhouses, a resort-style pool, tennis courts, and an array of other recreational amenities that offer you a world of social opportunities - all without ever leaving the comfort of your own village. Imagine awakening each morning to breathtaking views of the shimmering lakes and emerald green fairways of a spectacular Greg Norman Signature Golf Course in Palm Beach County, Florida. Norman remained for hundreds of weeks of his successful professional career as the world's top ranked player and he had the opportunity to compete on some of the most illustrious golf courses in the world. His experience enables him to create golf course designs with all skill levels in mind. Built with precision and artistry, the course at Jupiter Country Club features five sets of tees with yardage stretching from a comfortable 5,289 to 7,259 yards from the tips—demanding for even the most accomplished player. A comprehensive practice facility gives you a chance to work on your on-course strategy. The 18-hole Jupiter Country Club in Jupiter, FL is a private golf course that opened in 2007. Jupiter Country Club has a slope rating of 132 and a 75.2 USGA rating. The course features 5 sets of tees for different skill levels. The Palestra is a 12,000 square foot-health and fitness center with resort-style pools, state-of-the-art fitness equipment, six HAR-TRU® clay tennis courts, indoor/outdoor casual dining, massage room, and locker facilities.